Since Dr Paul Janssen established his company in 1953, to research mental health conditions, it has launched 16 neuroscience treatments in the UK. Today, the focus is on predicting and pre-empting, improving targeted treatments and partnering on initiatives to reduce stigma and support patients. Mental health services have been underfunded, poorly staffed and have not had the same priority as that awarded to physical health. Mental health patients were put into out-dated buildings, away from the general population, with fragmented services and care. Patients often faced long-term or life-long institutionalisation. Prior to the development of novel drugs, treatments were largely non-pharmacological and, given the long-term and intransigent nature of symptoms, were often highly experimental, such as lobotomy and insulin shock treatment. However, this period saw a very gradual transition from the reliance on psychoanalytical treatments to the psychopharmacological era, which supported the assertion that psychiatric disorders had underlying biological disturbances that could be targeted. In fact, Janssen has launched 16 neuroscience treatments in the UK, to treat a range of conditions. Importantly, the discovery of novel medicines has allowed the development of more holistic patient treatment approaches, including training and psychological therapies, since the most florid symptoms are better controlled. Mental health treatment has been transformed over the last 60 years, aided by medical breakthroughs, partnerships, and technological advances in brain imaging, drug discovery, genetics and genomics. 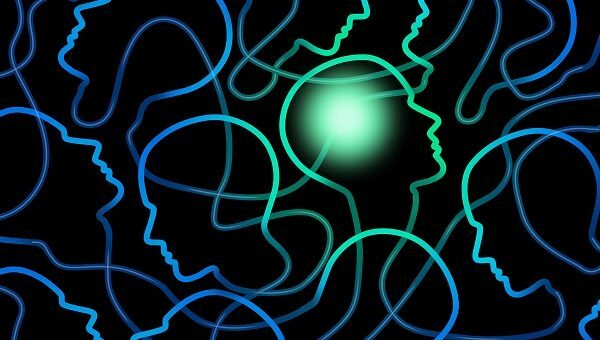 Significant advances in the understanding and treatment of psychiatric diseases have been accompanied by a growing commitment in communities, workplaces, schools and government to change perceptions. Mental health conditions are now being pushed to the top of the health care agenda, with continued investment, and awareness and education campaigns, such as the recent “We Swear” campaign by the mental health charity, MQ: Transforming Mental Health through Research. Medicines Initiative 2 (IMI 2) programme to identify digital approaches to proactively assist relapse prediction. Our ongoing research is focused on improving understanding of the basic biology and neuropathology of the different diseases, and discovering novel targets towards the identified biology, just as with other conditions, such as heart disease and cancer. Also, we are working to address specific patient needs, such as increasing speed of effect and targeting poorly-treated symptoms. A number of earlier phase programmes are evaluating targeting of novel areas, such as neuroimmune cascades, cellular resilience and dysfunctional brain circuits. Collaborating with SANE in 2015 on assessing the “preventing crisis through goal lead support packages” project, which focuses on individuals with serious mental illness, facing negative and self-destroying thoughts and feelings. We have always been, and remain, committed to psychiatry. Our researchers continue to identify novel targets based on a growing understanding of the biology. We are continuing to improve existing treatments, in terms of speed of effect, side effect profile, duration of action, as well as exploring early intervention, identifying responders to treatment and targeting treatment-resistant disease. Today, focus is on a dimensional approach to central nervous system disorders that recognises inter-patient variability. The goal is to offer personalised treatments, which improve patient choice and, hopefully, outcomes. Also, to move from ‘diagnose and treat’ to ‘predict and pre-empt’, avoiding irreversible cellular and physiological damage. 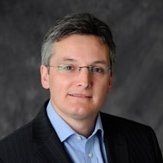 Declan Jones is VP, Neuroscience Lead at the Johnson & Johnson (J&J) Innovation Centre in London. J&J bought Janssen in 1961. For more information visit www.janssen.co.uk. 1 NHS: Five Year Forward View, 2014. Available from: https://www.england.nhs.uk/wp-content/uploads/2014/10/5yfv-web.pdf. Last accessed: June 2017. 2 Medical Research Council. Strategy for Lifelong Mental Health Research, April 2017. Available from: https://www.mrc.ac.uk/documents/pdf/strategy-for-lifelong-mental-health-research/. Last accessed: June 2017. 3 NHS: The Five Year Forward View For Mental Health, 2016. Available from: https://www.england.nhs.uk/wp-content/uploads/2016/02/Mental-Health-Taskforce-FYFV-final.pdf. Last accessed: June 2017. 4 Bloom D E, et al. The Global Economic Burden of Noncommunicable Diseases. Geneva: World Economic Forum, 2011. 5 Lipsedge M, et al. Psychiatry 50 years ago. British Journal of Hospital Medicine. 2016;77(10):569-571. 6 Rethink Mental Illness, 2017. Antipsychotics Factsheet. Available from: https://www.rethink.org/resources/a/antipsychotics-factsheet. Last accessed: June 2017. 7 Brissos S, et al. The role of long-acting injectable antipsychotics in schizophrenia: a critical appraisal. Therapeutic Advances in Psychopharmacology. 2014;4(5):198-219.